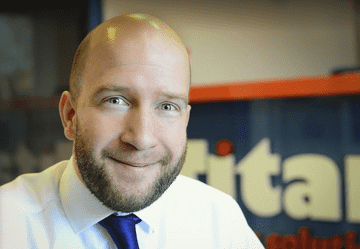 If you’re in the process of de-cluttering your home, office or student accommodation, your local Titan Storage facility in Leamington Spa should be your first port of call. Ideally located in the heart of Stratford Upon Avon, you will be able to access clean, modern and spacious business and personal storage solutions that have been designed to meet your storage requirements near Stratford Upon Avon. 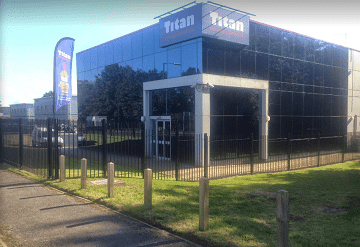 Titan Storage Leamington Spa customers can access their storage within the facility 24 hours a day, 7 days a week. 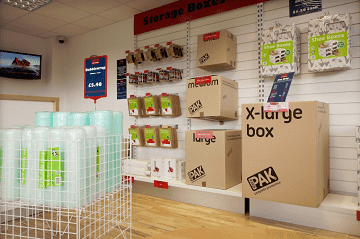 Providing the perfect place to store and archive stock, or simply a space for your belongings once you have de-cluttered your home, our Leamington Spa Titan Storage site is only a 22-minute drive from the heart of Birmingham. Once you arrive you will find plenty of car parking spaces available for use on site, as well as plenty of trollies and loading bays, meaning you will be able to load and unload your goods with minimum hassle. To get to Titan Storage Leamington Spa from Stratford Upon Avon, simply head west on Ely St towards Ely Gardens, take Warwick Road/A439, A46 and A452 to Hawkes Dr, and continue on Hawkes Dr to your destination in Royal Leamington Spa. At the roundabout, take the first exit onto Hawkes Dr and you find us on the right.